Ultratec Special Effects, Huntsville Pyrotechnics Operations are pleased to announce the hiring of 2 very experienced individuals, Brett Green & Otis Hart. 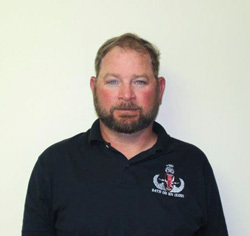 Brett Green brings with him twenty plus years’ experience in the explosive safety and training arena. 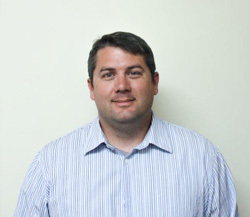 Brett is Ultratec’s Safety & Compliance Director. He gained his experience as a U.S. Army Explosive Ordnance Disposal Technician (now retired). During this period Brett led over 260 soldiers in a combat environment. Specialization in the dismantling, exploitation, and handling of unstable foreign explosives. Otis Hart brings with him a blend of knowledge and leadership as a Master Trainer in explosive handling and safety. Otis will be managing the West Side of our operation. He gained his experience as a U.S. Army Explosive Ordnance Disposal Technician(now retired). During this period Otis led soldiers in a combat environment. Specialization in the construction, neutralization, and handling of improvised homemade explosives and chemical warfare agents. Brett and Otis will prove to be a great asset to our organization based on their knowledge and experience. “Adding these 2 people to our team confirms our commitment to safety, knowledge, discipline and experience to our organization,” states Adrian Segeren, President. Earlier today we experienced a serious incident at our facility in Huntsville in which two of our team members lost their lives and several more were injured. Our heartfelt thoughts and prayers go out to those individuals and their families. Safety is our first priority. Ultratec is committed to investigating the incident and will assist local, state and federal officials in determining its cause. Our immediate focus is assisting the employees and their families whose loved ones were lost or injured today. Further information about the incident and its cause will be communicated when available and appropriate. After we first introduced the Gemini Mines in the summer of 2013, we received a good deal of valuable feedback from our customers which helped us improve the performance of the Gemini Mines. After compiling our customer’s comments we were able to conclude the tubes we were using in manufacture were too large in diameter. We decided to re-tool. They are now available in 30mm & 44mm Tubes. These changes allow allows the comet to maintain its trajectory even on angles. The improvements also included the change in several other processes to improve the mine stars to perform more consistently. Our efforts prove that our commitment to our customer are a priority for Ultratec; a service they have grown to expect. Once again proving that we supply more than just a product we also provide our customer solutions. Try them today in 30mm or 44mm! Once again, it’s a busy time of the year for planning those new shows. Ultratec’s Multi Shot Plates are a great choice and are fast becoming the reliable solution for those multi shot applications. Our unique plate design is the same for each timing, only the duration and the type of effect changes with each product choice. The time between shots is very consistent and is also very consistent from plate to plate. Think about using these on your next show or call one of our staff to answer any questions. Be sure to include some on your next order or special order some samples today. These photos were taken at the 2012 Summer Olympics in Great Britain during the opening ceremony. 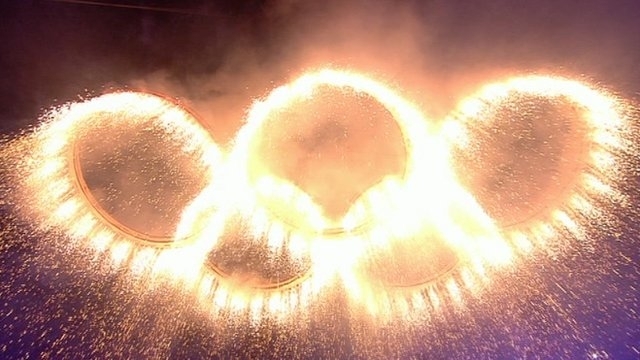 Ultratec’s Gold Twinkling Waterfalls were used to create this stunning effect on the five olympic rings. These captured moments will live in the hearts, thoughts and minds of athletes, families and friends across the globe forever. This was truly an outstanding creation! Dragons, Feld Entertainment’s latest show hits the road for a 2 year long tour around the USA. This new and exciting show has all the thrills, excitement of the traditional Circus. One big addition is The Dragon, living, breathing and make a bigger than life entrance. Ultratec is proud to have been a part of the 142nd Greatest Show on Earth as the Special Effects Supplier. “Providing special effects to the Greatest Show on Earth has it challenges”, says Adrian Segeren. “147 Person Cast, a tightly controlled schedule, changes, all the animal care and pride, technical concerns and unforeseen issues are just a few of the daily challenges”. It’s always a sight to be seen but even more exciting to be a part of, what appears to be confusion and taking it to a fully working show ready for the 2 year tour is an experience. This year like many others you will see some new effects, the interesting use of our New Pixie Dust Mines, a Big Angle Fire Mine look at the top of the show, an extremely big finale Look, Dry Ice from the Portal, lots of cool Fog Looks and of course all the neat effects on the Dragon. This is another Great Show Produced by Nicole Feld and Alana Feld along with a wonderful and talented Creative Team at Feld Entertainment. 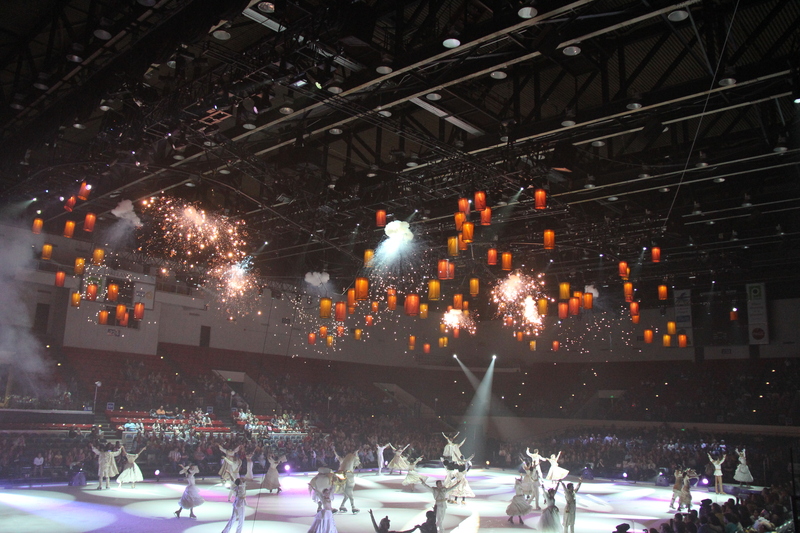 It’s been a busy year, 2011 had Feld develop 3 Disney on Ice Shows, 1 Disney Live Show, 2 Ringling Brothers and Barnum Bailey Circuses and all the shows at Feld Motor Sports. It’s been a great year working with Feld Entertainment, we appreciate their commitment and confidence using our products and services and look forward to 2012. 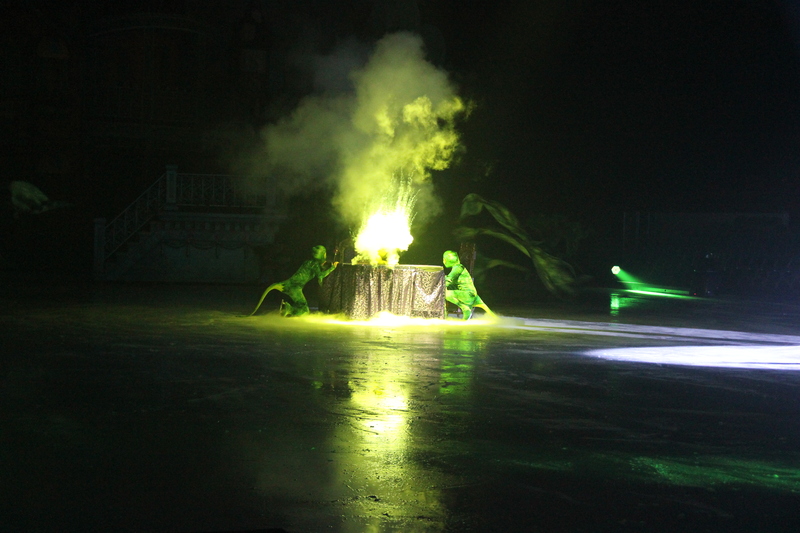 Feld Entertainment produces their 32nd Disney on Ice Production named “Dare to Dream”. Feld Entertainment proudly produces their 32nd Disney on Ice Production named “Dare to Dream”. Filled with all the wonderful Disney characters, a great story, perfectly choreographed show, excellent music, supported by a great cast and crew. Ultratec Special Effects is proud to be the special effects supplier to Feld Entertainment and wish the product years of success. 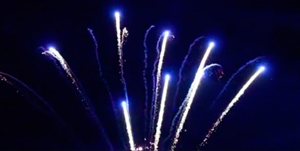 In the production you will see an array of Pyro Effects that are perfectly timed and designed into the production. 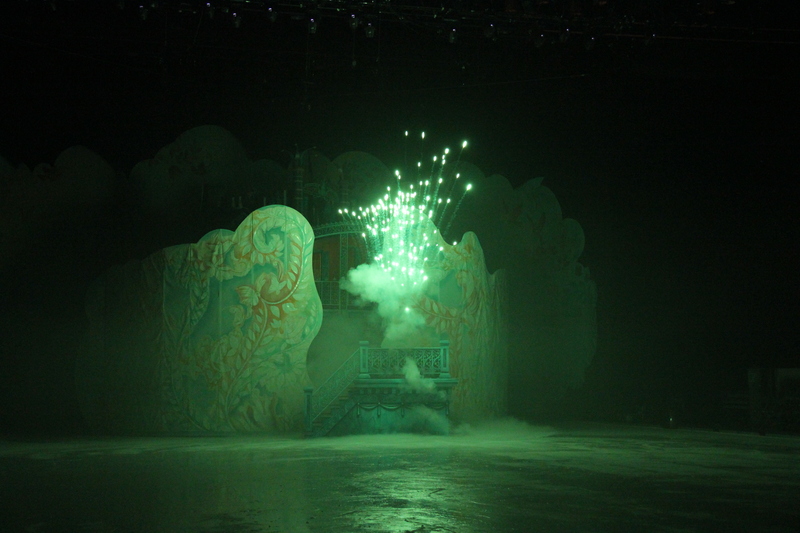 Ultratec also supplied the Special Effect Fog Machines used in many of the scenes enhancing the production experience. Timohovich Productions becomes a Major Special Effects Supplier to some of the most popular TV Productions on the West Coast. Recently, in collaboration with JEM FX inc, Dimitri Timohovich was responsible for Design and Implementation for all the special effects on Dancing with the Stars, Mike Rienatrz offer his expertise for American Idol. Beckie Timohovich, another renowned Special Effects Designer assisted Pyrotek Special Effects Inc with the recent American Billboard Awards. 2 Pin Pyro Control, Holders etc.